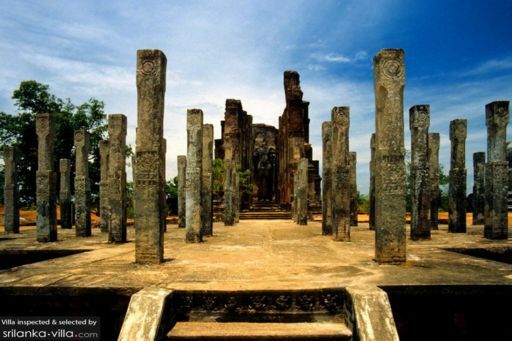 King Parakramabahu lived in the 12th century. He is one of the last Srilankan kings to have been able to unify the 3 lesser kingdoms of the island. He was a great builder: he constructed irrigation systems and his palace, which is said to have had a 1000 chambers in that time. He also reformed the buddhist church and reorganized the army. One of his adages was "not even a little water that comes from the rain must flow into the ocean without being made useful to man".